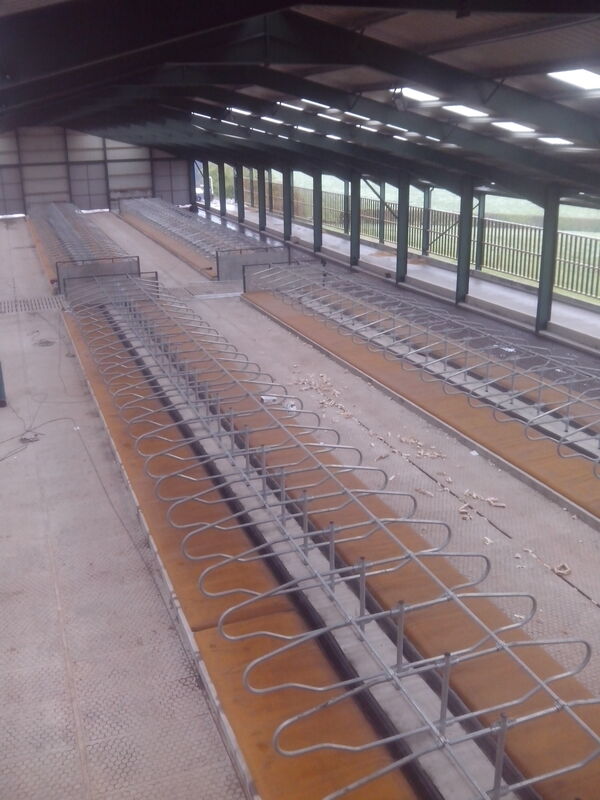 Jimmy & Sandy Mitchel have erected a new cubicle house for an additional 372 Cows, currently they are milking 723 Cows. They have achieved good results in terms of Milk Yield achieving 36 litres on average, the extension will allow them to milk just shy of 1,000 cows. Over the past 30 years Kennetsideheads Holsteins, near Kelso, has been synonymous with high-yielding cows, high-quality genetics and profitable milk production. Jimmy, a former NFU Scotland milk committee chairman, guided the herd’s early development and was awarded the prestigious RABDF Gold Cup in 1989 and 1993. Today, the family partnership farms more than 1,600 acres of owned and rented land on three separate units. 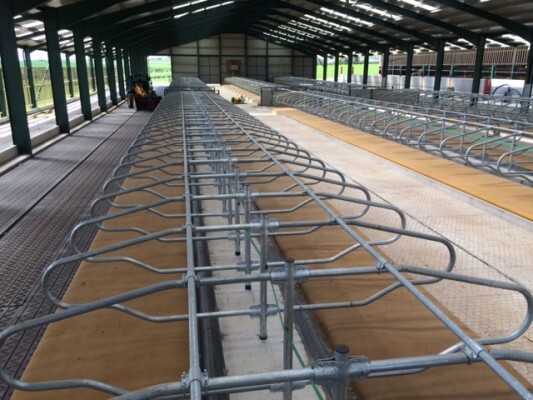 Kennetsideheads maintains the main dairy herd and this expansion will allow them to close the Mersington Farm unit of 200 cows. Keeping all of the milking cows on one site. Milked through a 60 point rotary parlour. The new unit has been built to cater for all year round housing with attention given to good cow flow, ventilation, easy access to feed and water. 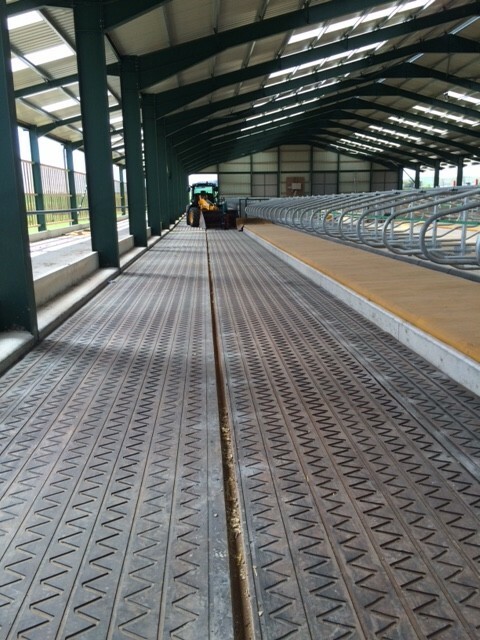 They have installed our C50 post mounted cubicles throughout the building, and Pasture Mats with the 40mm Premium Pad insert. This is growing in popularity throughout the UK with a growing number of top producers choosing the 30 & 40mm options (100mm total mattress depth). 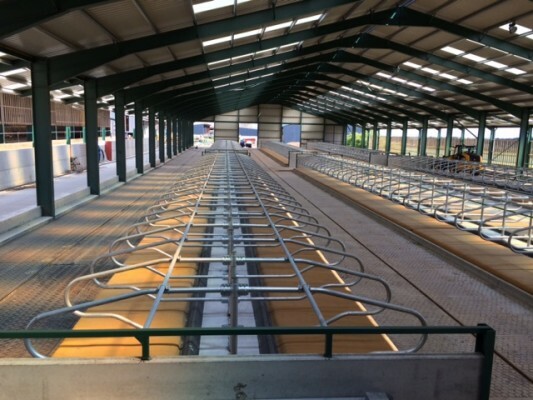 The cows are positioned on the mattress with our Poly Pillow brisket barrier allowing natural leg extensions enabling the cow to enjoy all four of the common resting positions, this further reduces point loads and hock damage. The comfort zone system is the unique combination of C50 cubicle, Pasture Mat and Pillow which ensures that cows enter the cubicle and rest quickly with minimal obstruction keeping the walkways clear of cow traffic, cows rest straight in the C50 given its direct relation to the Pasture Mat below and its shape has this in mind. Cows better positioned results in less mastitis, and less need for cleaning of the beds with reduced bedding usage. This is key when bedding material is the dairyman’s fifth largest cost. 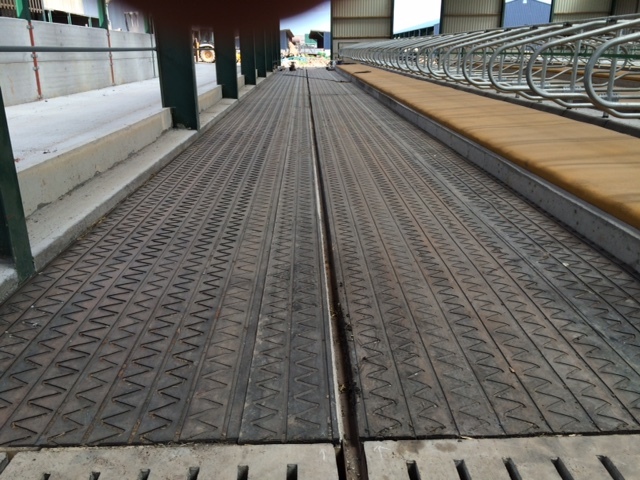 The walkways next to the feed have been all lined using Zig Zag rubber flooring, this will improve traction for cows as they walk on the floor and reduced stress on the claws of the hoof as they turn on the floor. The material is full of steel reinforcing and can cope with a skid steer or any machine scraping out on top of it. Due its grooves the moisture is drained away from the hoof elevating it over the wettest slurry. This will reduce the amount of hoof trimming required and improve feed intakes over a concrete surface.